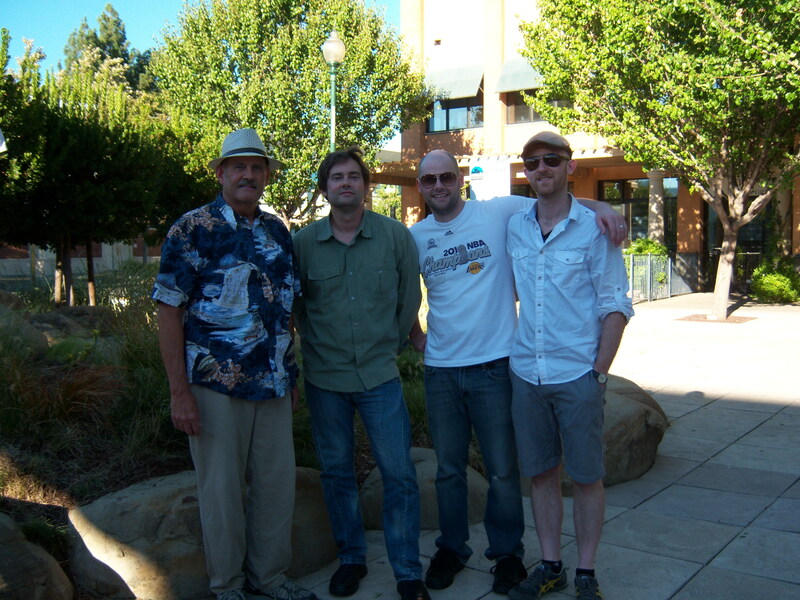 We are thinking of having another reunion this summer in Fremont, Nebraska. All present and former members are most welcome to attend. The last reunion was in Fond du Lac, Wisconsin in 2015. We had such a great time and jammed for over 8 hours. Hopefully we can get many members from the Wisconsin and Misawa groups along with the Nebraska group to attend. Maybe a few more from the California group besides myself. J. Harrison B. after 37 years! We had our first reunion performance in 37 years, in Atlanta, Georgia. It was for The Misawa Project – the Misawa Japan Air Base reunion that is held every year in different places in the USA. Next year it will be in St. Louis. 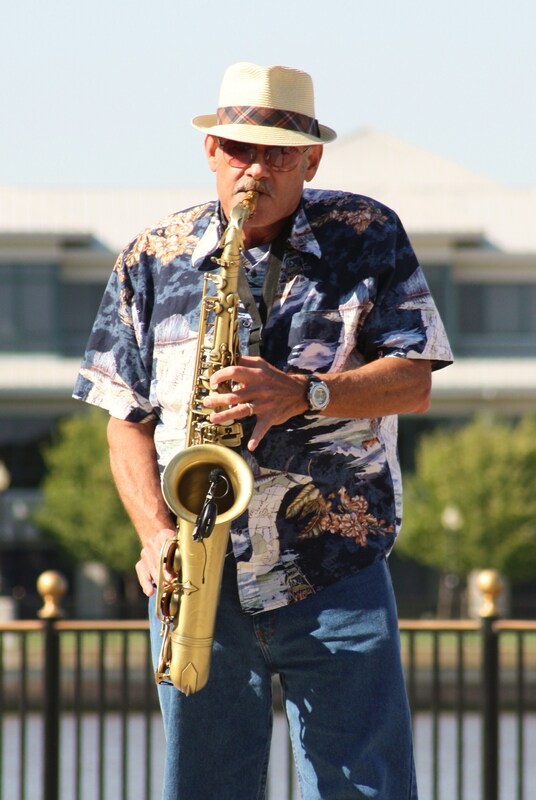 We played on the air base from 1973 to 1975 and in the surrounding area of Japan. 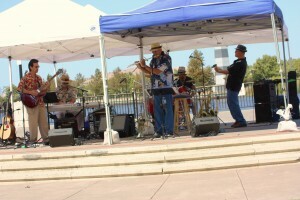 The reunion performance was July 9, 2011 and we had a blast. 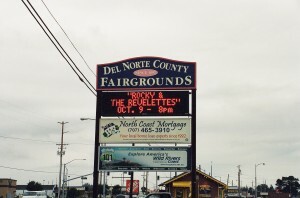 My gig with The Temptations on Saturday December 15th at the Jackson Rancheria was way COOL! 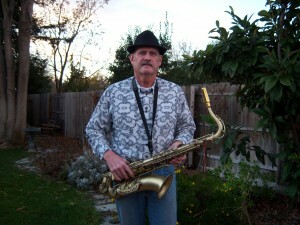 I played tenor sax and had four solos. 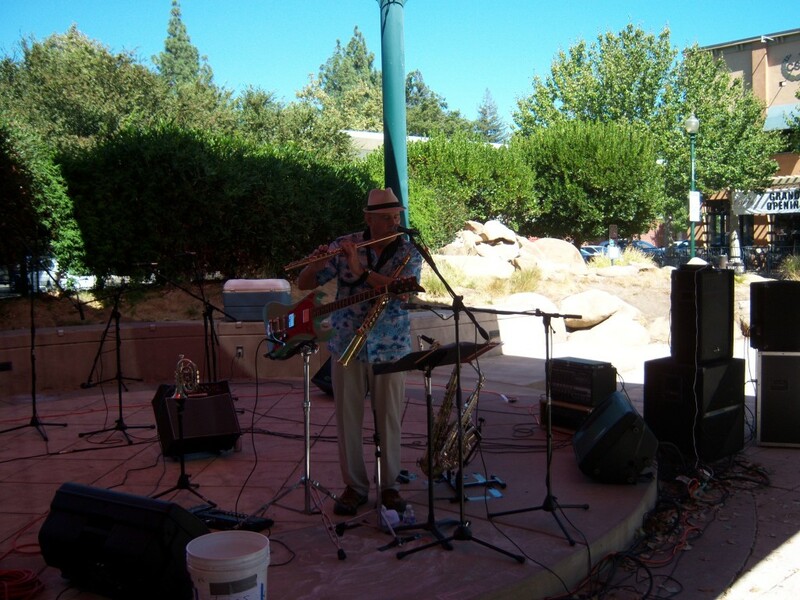 July 19th & 21st – Sapo Guapo had a great time performing for the huge crowds in El Doradao Hills at the Steven Young Amphitheater & at Cesar Chavez Park in Sacramento last weekend. 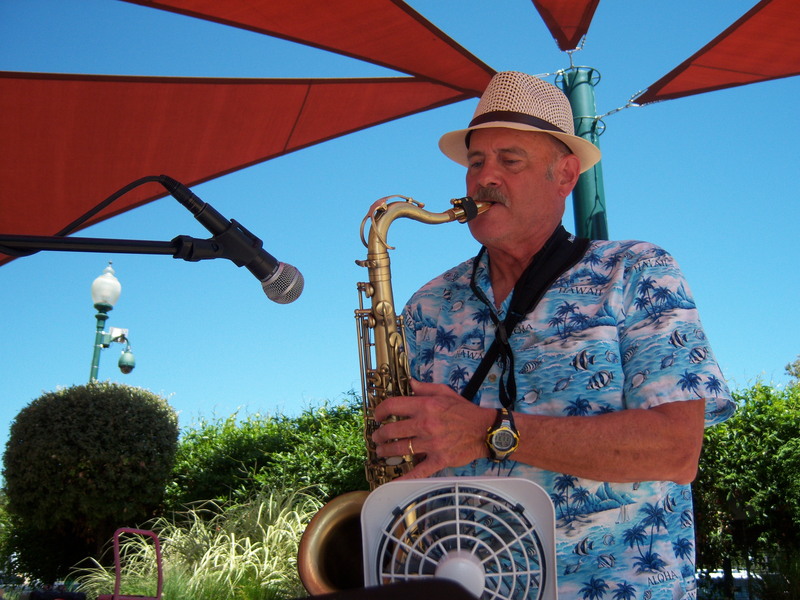 Thanks to all that were there – so much fun. 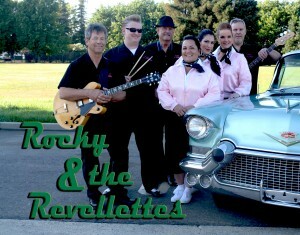 February 25, Wild night at the Red Ball in Grass Valley with Rocky & the Revellettes. We had a great time! Thanks Grass Valley Fire and Police for having us play again this year. 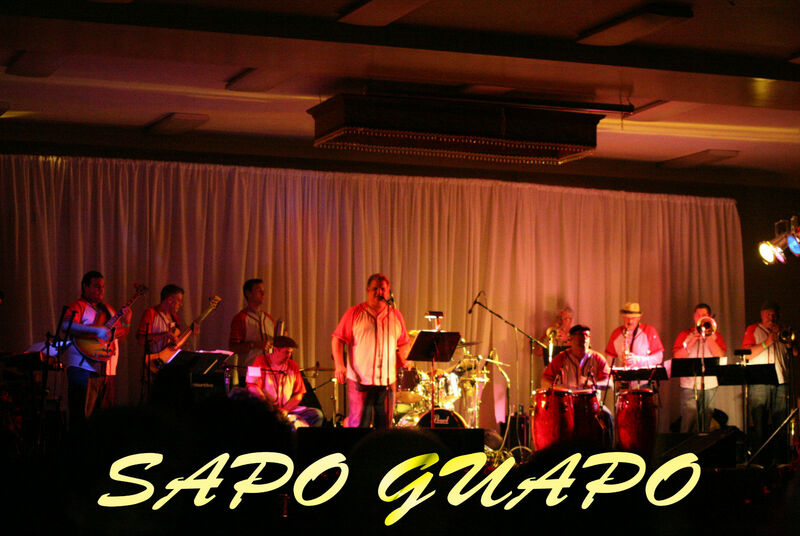 Sapo Guapo played a great show last night at the Fugu Lounge in Sacramento on New Years Eve, everyone had a great time! 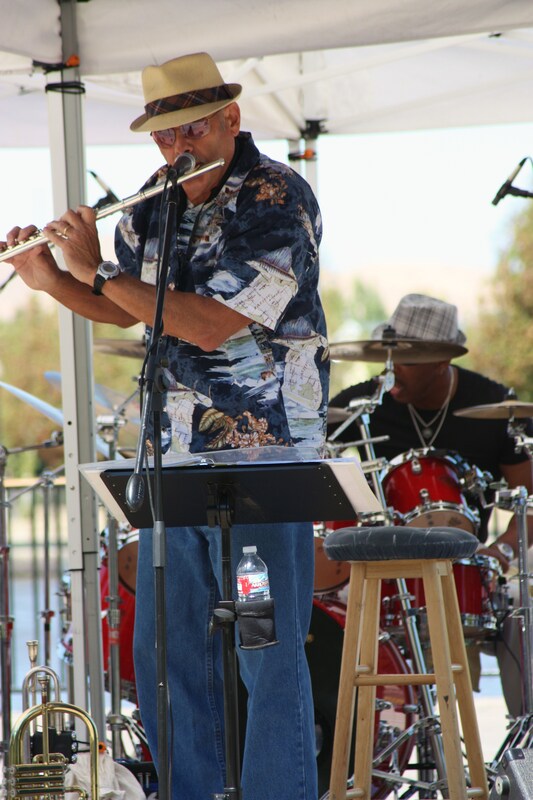 I had a great time performing with my son’s Quinn & Dustin at the Vacaville Jazz Festival in September, they are amazing players. 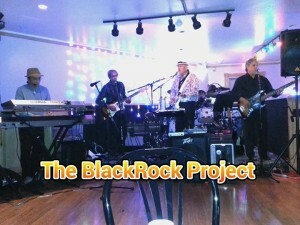 Look for our CD coming out soon. 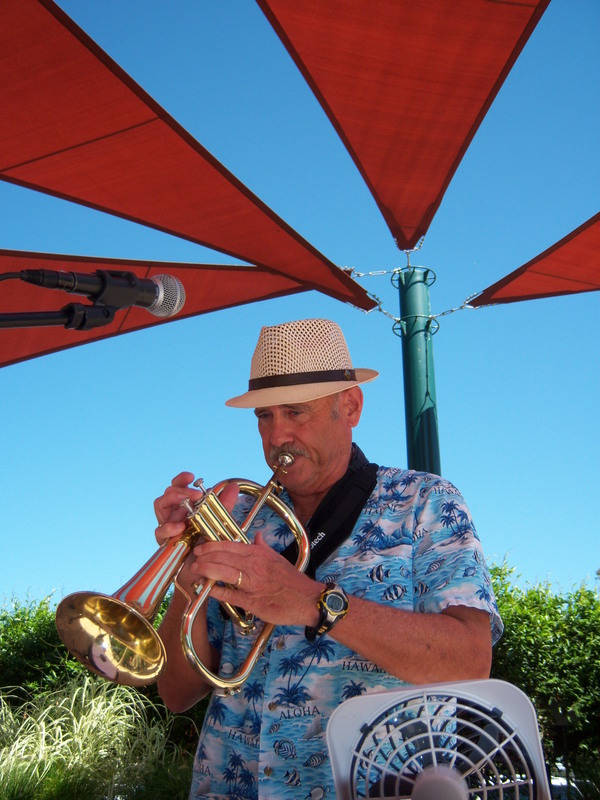 Also, my favorite gig of the year was with Rocky & the Revellettes at the Crescent City Sea Cruise October 8th. We all had a great time! Thanks for having us, hope to do it again next year. 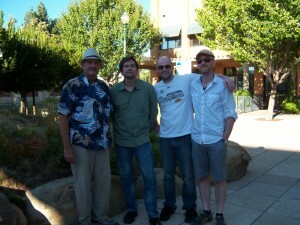 Sat in with Ludi Hinrichs & Tom Hannickel up in Grass Valley Sunday May 29 and had a blast, thanks Ludi! Robin & I drove up there in my Corvette. J. Harrison B. 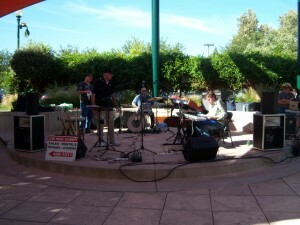 Band had a lot of fun playing for the Vacaville Fiesta Days BBQ at the McBride Center last night. Hope to see many of you soon. I will be performing with Stingy Brim at Winstyles on Friday May 27 and Saturday morning at the Vacaville Farmers Market before the Fiesta Days Parade. We had a great time at Winestyles last night. The place was packed, thanks to all that showed up, we will be back May 27th. Check out Stingy Brim at WineStyles this next Friday, March 18th from 8:00 to 10:00 PM Smooth Jazz and great wine! 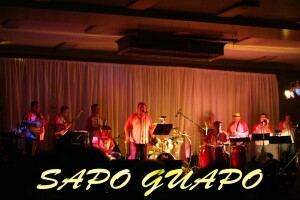 2-16-11 Sapo Guapo had a great time at the Fugu Lounge last Saturday, thanks to all who were there! 1-27-11 J. Harrison B. will perform in Atlanta, GA for the Misawa, Japan Air Base reunion July 7-10, this is the first time the Misawa version for JHB has played together since 1975. Hope to see many of you in Atlanta that were stationed in Misawa during 1973 – 1975. 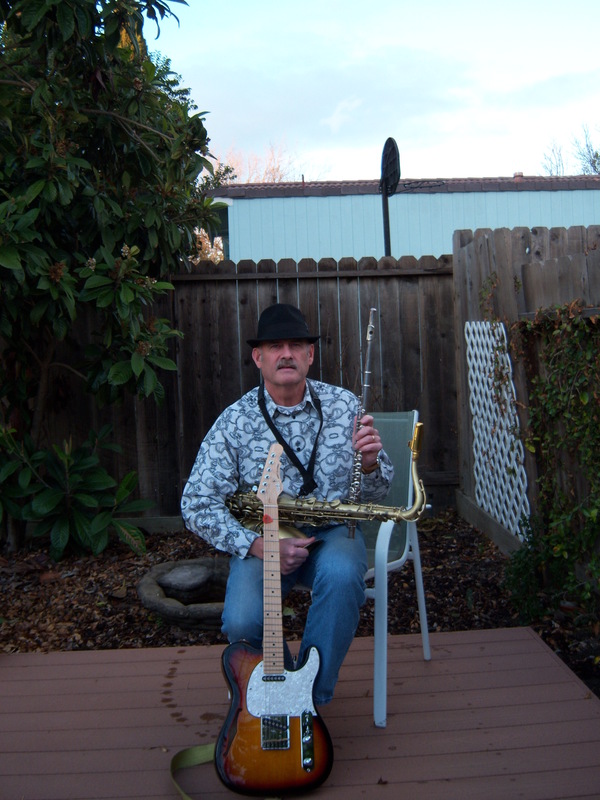 12-7 Stingy Brim will perform at Oshima Sushi, Sacramento, Friday December 10 and Sapo Guapo will be at Stars in Vacaville on the 11th, see you there! 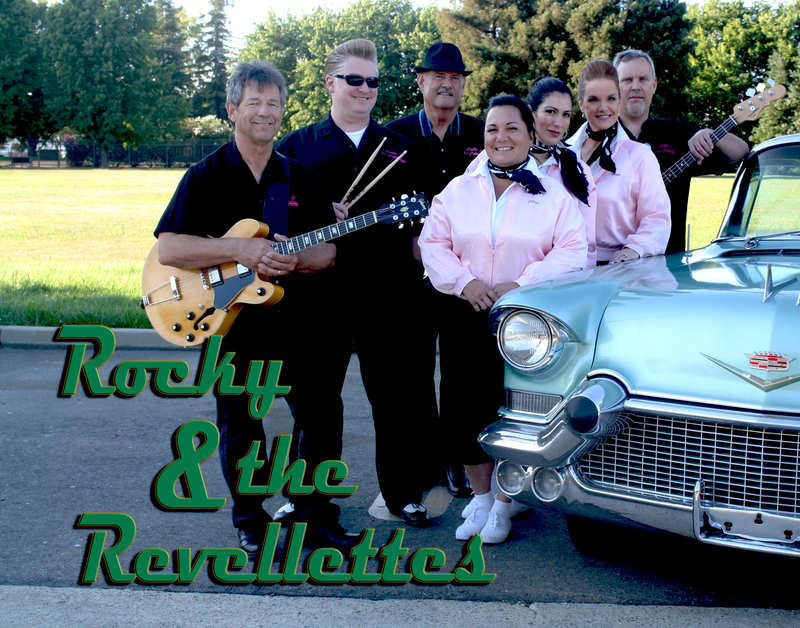 11-17-10 Rocky and the Revellettes will be playing New Years Eve at the Corkwood Lounge in Woodland, get your tickets at Woodhaven Lanes, seating will be limited 11-8-10 Sapo Guapo had a great crowd at Little Switzerland in Sonoma last Satruday, thanks to all that attended 11-3-10 Rocky will be playing at the Corkwood Lounge on November 13th, from 8:30 to midnight, should be great fun! 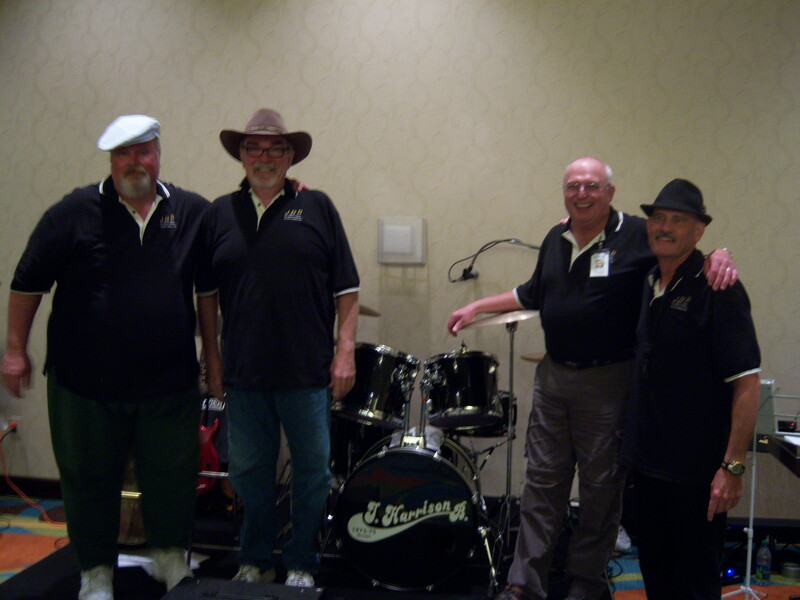 10-12-10 Rocky & the Revellettes had a great time at the Crescent City Sea Cruise last weekend, the car show dance was loads of fun and we “rocked” 9-20-10 Thanks to all who came out to hear my sons Quinn, Dustin & I play Saturday at the Vacaville Jazz Festival. J. Harrison B. & Stingy Brim had a great time performing! 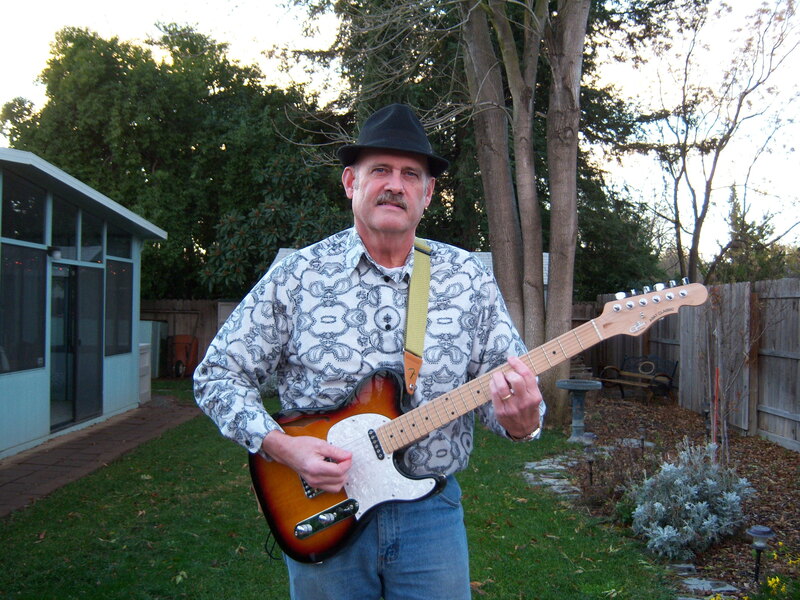 8-23-10 Rocky “Rocked” at the Notomas Racket Club Saturday night, and I had lots of fun at the Suisun Waterfront concerts with Stingy Brim and Sapo Guapo earlier this month.7-3-10; The last two weeks I have played in all five of my bands! Great fun! 6-10-10; Sapo Guapo really rocked at Fiesta Days in Vacaville May 29, thousands of people dancing! 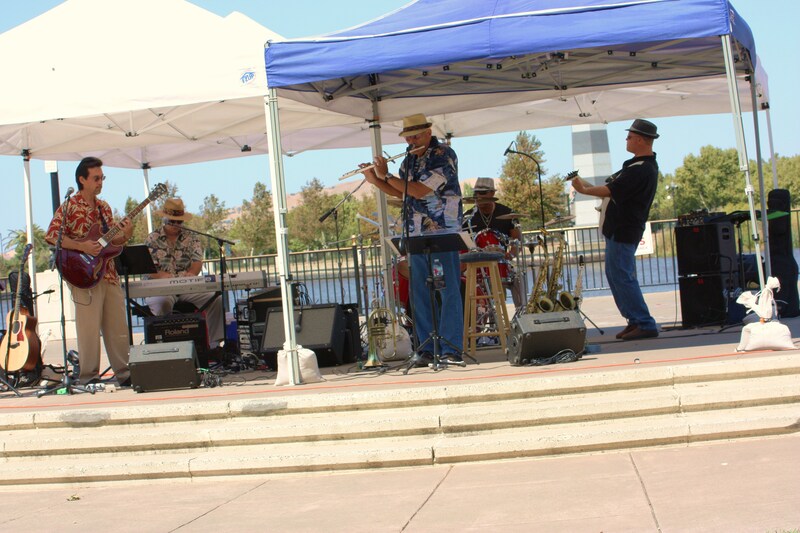 5-16-10; I’m in a new group, we haven’t decided on a name yet, our first performance is this Friday May 21, in Vacaville at the town center on main from 6:00 to 8:00 PM. Come out and enjoy some smooth/funk/standard jazz. 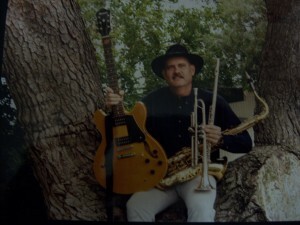 4-26-10; Stan Johnson has joined yet another band, for now it is called Dream Door. 3-13-10; Rocky & the Revellettes had a great gig last night at the Corkwood Lounge in Woodland and it looks like we will be playing there on a monthly or bi-monthly basis.